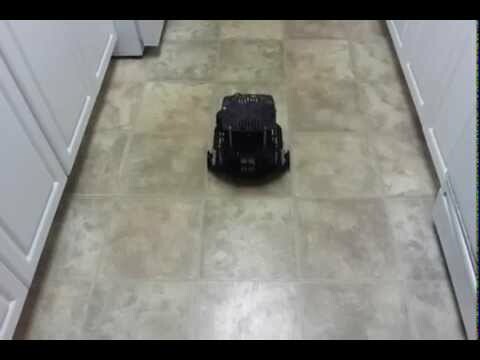 ZappBot 5.0 Robot --- AKA "FrankenBot"
My latest creation has been seen moving about. I have taken Victor Frankenstein's approach to bring my latest creation to life. Take a piece from here and a piece from there, then add a little electricity. Its built from new parts, its built from used parts. There are somethings old and somethings new. Take 4 parts BOE-Bot, 3 parts Activity-Bot, 2 parts Stingray and 1 part Elev-8 then add some more. Its got a P8X32A brain, so it is quite smart. It thinks in Basic, C, SPIN or PASM. 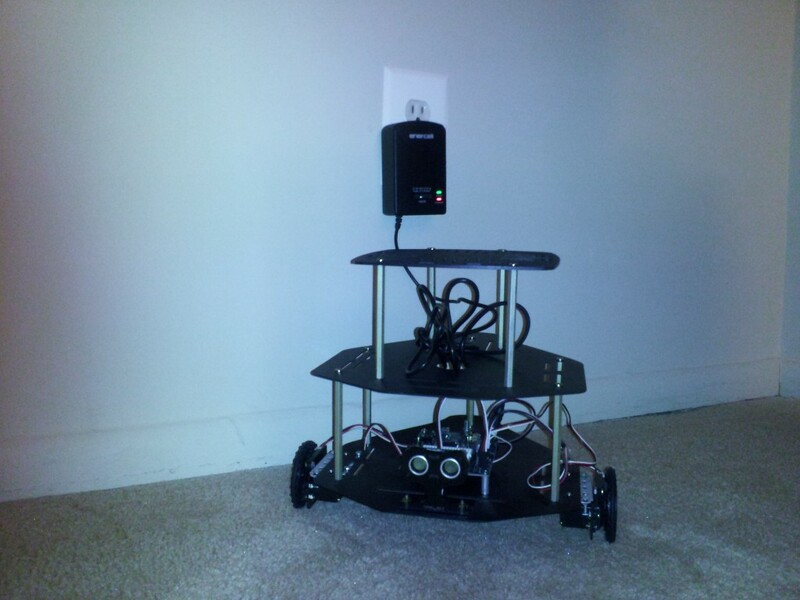 Its the "ZappBot 5.0 Robot" AKA "FrankenBot", born on December 24, 2014. FrnkenbBot Charging You can see I have switched the drive servos left / right to make the robot compatible with the ActivityBot code. Here are some quick facts about the robot. It is easy to mount, stick the threaded stud through the bottom plate and secure it with a nut and lock washer. 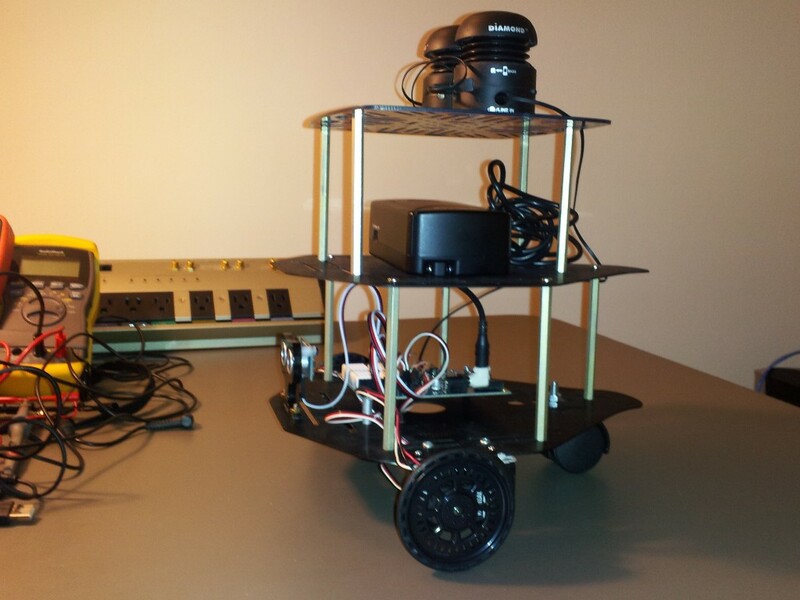 The caster wheel actually has two small wheels mounted side by side and swivels, a similar configuration to that used on the Parallax "Arlo" robot platform. 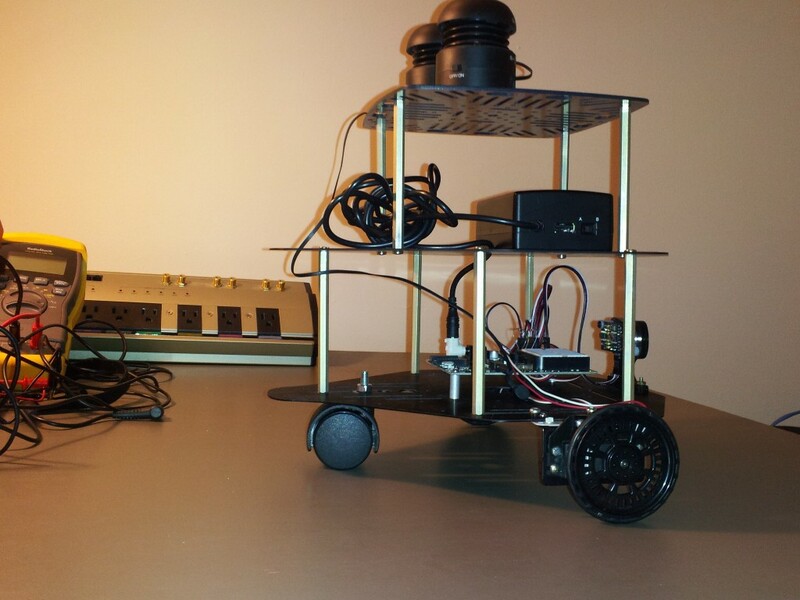 The drive wheels are the key to controlling the movement of the robot, the ring of 32 spokes in the wheel, lets you know how far the wheel has moved. Distance between left and right wheel (center to center) is 282mm. Encoders are needed to accurately maneuver the robot. Two Parallax (Boe-Bot) Continuous Rotation Servos are used as the motors on this robot, these are the servos used on the Boe-Bot. 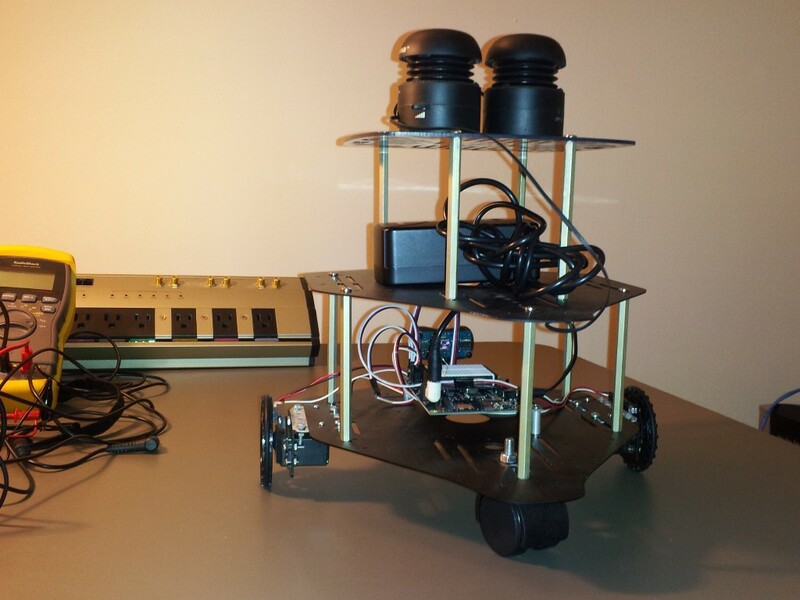 I have run "ActivityBot Calibration.side" on the robot. Below are the "ActivityBot Display Calibration.side" results. Modifies the default maxiumum top speed for use with encoders. The default is 128 ticks/second = 2 revolutions per second (RPS). This is the full speed that drive_distance and drive_goto use. This value can currently be reduced, but not increased. control system does not use the encoders to correct distance/speed. accuracy, to use that as a scale. When I finish my walking legs, you could try them on your robot! Very nice seeing another robot driving around in rectangles. I've been doing a lot of that with my robot lately. I think the greater distance between the wheels (compared with an ActivityBot) makes your robot's turns more precise than the turns of an AB. You've got straight lines and right angle turns down, how about some figure 8s? I doubt FrankenBot will have trouble pulling off a few figure 8s. 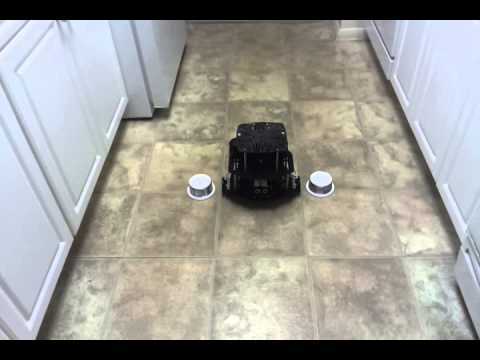 Thanks for the fun robot post with video. However your your design is very Smart! Good call, my young Padawan. Zappman, please see the thread below and we hope to see you jump in soon! 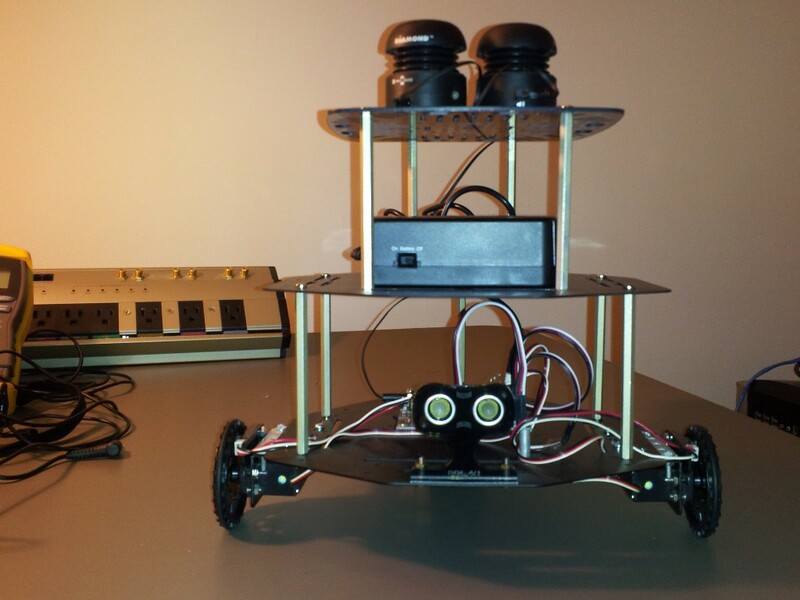 Thank you to everyone for the interest and comments about my FrankenBot robot. FrankenBot has accepted the Figure Eight Challenge.